An evidentiary hearing to determine whether witness tampering occurred in the Marshall County High School shooting case is set for February 1st. The date was set in a hearing on Friday. 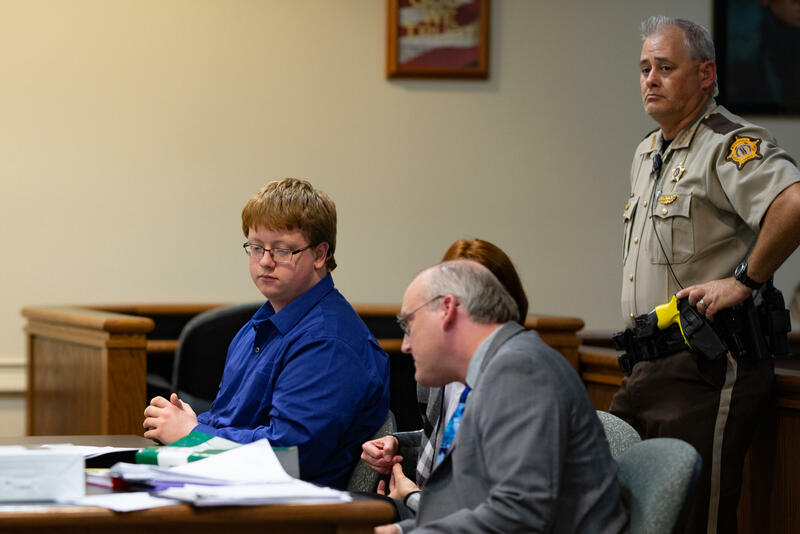 An attorney representing the alleged Marshall County High School shooter claims that a civil attorney working for the school district advised potential witnesses on their testimonies. 16-year-old Gabe Parker is being tried as an adult on two counts of murder and several counts of first-degree assault after allegedly opening fire on classmates in January. Parker’s attorney Tom Griffiths said he believes lawyer Michael Owsley’s contact with potential witnesses violated his constitutional right to put together a defense case for his client. Assistant Commonwealth’s Attorney, and incoming Commonwealth’s Attorney, Dennis Foust said he believes there was no wrongdoing on the part of the school district. “The Commonwealth feels confident that nothing has been done to prejudice the defendant’s case and we’re more than willing to have a hearing,” Foust said. He also said the prosecution is not necessarily representing the school, but rather the Commonwealth and victims. Griffiths also requested a subpoena of counseling records from shooting witnesses. He said he agrees with the Commonwealth and Judge James Jameson that a trial date should be set soon. He said he would like the case to be dealt with in a timely manner. The discovery process is still underway. Attorneys have also suggested the trial could be moved to a media market that hasn’t been saturated with coverage involving the case.